Patients with preoperative nutritional support had an operative mortality rate of 17 percent (3/18) as compared with a rate of 57 percent (4/7) for patients without nutritional support. This difference was statistically significant (p<0.05). Causes of the three deaths in patients with nutritional support were postoperative bleeding, hepatic failure, and renal failure. In contrast, there were four deaths in patients without nutritional support, and a common cause of these deaths was multiple organ failure triggered by prolonged respiratory failure. The operative mortality was higher in patients with giant left atrium (39 percent vs 0 percent, p<0.01). Plication of the left atrial wall was performed in 6 of the 19 patients with giant left atrium (Table 5). 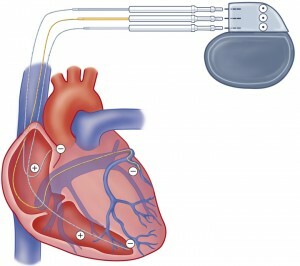 The procedure of plication played an important role in decreasing cardiac shadow. The postoperative cardiothoracic ratio on chest radiographs was significantly decreased to 74.5 ±5.8 percent from 91.3 ±6.5 percent (p<0.05) However, the operative mortality in patients with plication was still higher than that in patients whose left atrium was left intact (67 percent vs 16 percent, p<0.025). A common cause of the four deaths, as discussed above, was multiple organ failure secondary to prolonged respiratory failure or pneumonia. During the follow-up period, there were 4 late deaths among the 18 operative survivors. Three of these deaths were not related to valve complications, but were due to progressive heart failure. The other death resulted from a thromboembolic event due to a prosthetic valve.